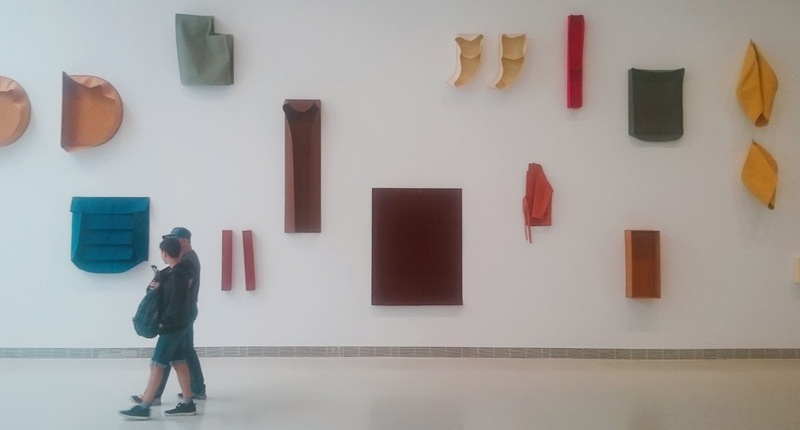 A Place for the Body brings together a large number of works from the 1950s to the present by pioneering artist Franz Erhard Walther (Fulda, Germany, 1939). Staged at the Palacio de Velázquez, Museo Reina Sofía, Madrid (6 April - 10 September 2017), this major retrospective features sculptures, drawings, paintings, photographic documentation and archive material. Walther's oeuvre explores the condition of the artistic object (sculpture, its materials, techniques and uses) and the nature of the viewer as receiver and participant. Walther sees his sculptures as places for the body, inhabitable spaces that modify their appearance and significance in accordance with multiple formal solutions, and also with actions. Alongside action, language is another tool he employs to redefine the work of art. Franz Erhard Walther: A Place for the Body from ArtworldNow on Vimeo.